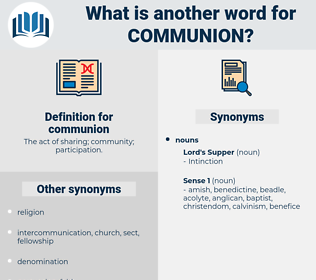 What is another word for communion? opposition, contention, variance, division, discord, antagonism, unfriendliness, disagreement, disunity, hostility. jaundice, rancor, iciness, spite, bitterness. And in my Lord's friendship there is the privilege of most intimate communion. He wants to put his love in it, so he can be loved by it and hold communion with it. 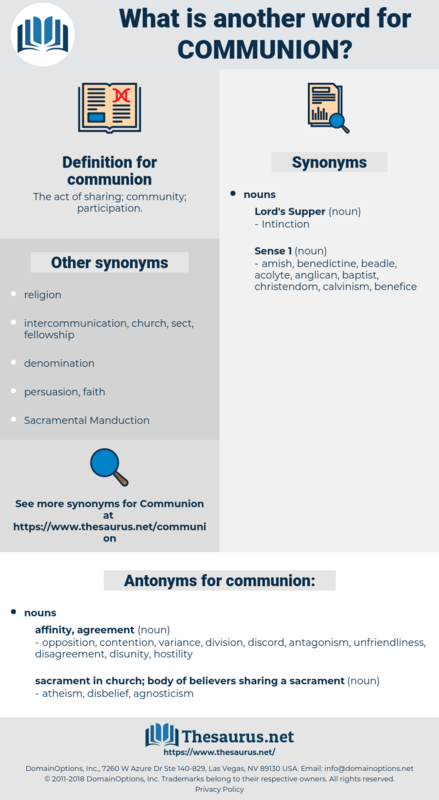 Eucharistic Liturgy, eucharist, Sacrament Of The eucharist, lord's supper, holy sacrament, liturgy, Holy Eucharist.